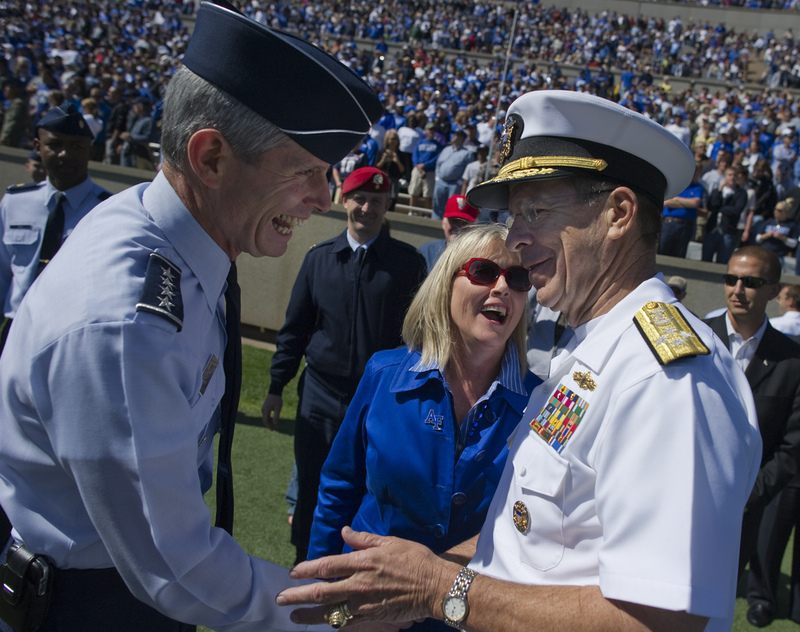 Air Force Chief of Staff Gen. Norton Schwartz is still relishing Air Force’s 14-6 victory against Navy. The Air Force chief of staff – a big football fan who follows the Academy and the Washington Redskins – was discussing his military career with a crowd of federal-government employees Wednesday when he broke away to talk sports. “Some days are better than others at this job, but the truth is both Suzie and I are having fun,” he said. “An example: being on the field with [Joint Chiefs Chairman Adm.] Mike Mullen last Saturday at Navy-Air Force game …” Schwartz stopped himself and cracked a grin. It didn’t take long for the bleary-eyed crowd to giggle and applaud. Editor’s Note: A special thank you to Air Force Times staff writer Scott Fontaine for filing this report from the front lines of Air Force leadership. He is working on a piece about Navy basketball star David Robinson, which will be published soon.